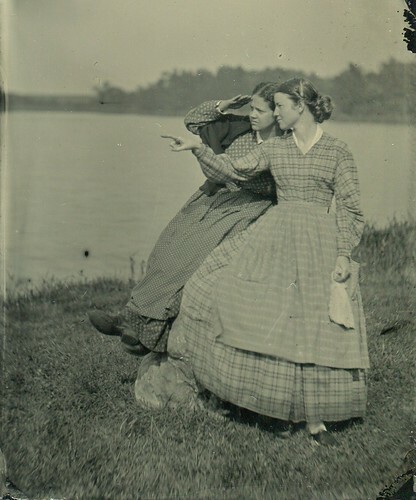 wet plate photographs. 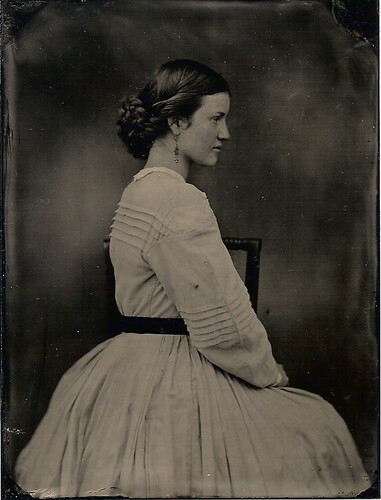 | Anna Allen Clothing Blog: wet plate photographs. Some pictures my friend Brandi and I had taken over the weekend. Images by Robert Szabo. Oh my golly, Anna! I nearly fell out of my chair looking at these! 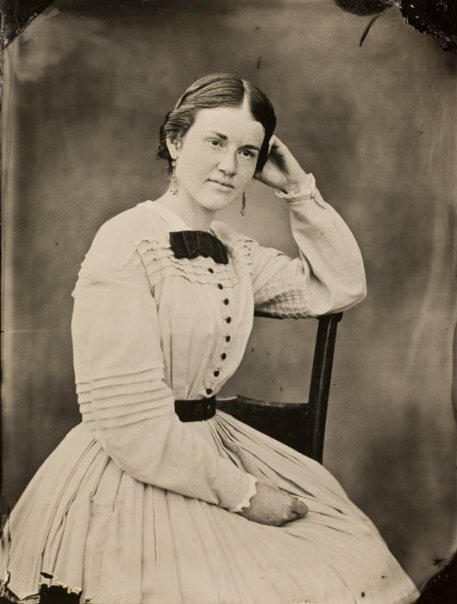 They're so gorgeous and it's hard to believe that they're not actual, mid 19th century photos. :) Beautiful!!! thanks! i'm always amazed as well! bob is one of the best wet plate photographers i know. wow! those are indeed breathtaking! i had to read over again to understand they were recent pictures. beautifully done!! Wow, those look amazing. I seriously thought they were old when I first looked. I've gone back and forth between the linked websites trying to figure out if you were joking or not. Absolutely incredible photography. Absolutely fantastic dresses and hair. Love the side view of the hair! Very awesome! Those photos are amazing! I too though they were old photos. Your hair and clothing are just perfect! Oh, those pintucks....is that what they're called? Lovely. wow. These photos of the two of you are wonderful. I am new to your blog and love reading but this morning I actually forwarded this post to my sister. Not only did the photos turn out beautifully but the friendship between the two of you is truly touching. Sorry to be a sap but I think that this is pretty cool. On another note, I am sitting here in a pair of Bensimmons that I bought on the street in Paris last Oct. They are the most lovely little shoes and I am so glad to know that we can order them somewhere now! Thank you :). fantastic pictures, I wish I had a couple of those picturing me. I'm speachless. Those are top notch. I've seen maybe thousands of originals and these are really spot-on. 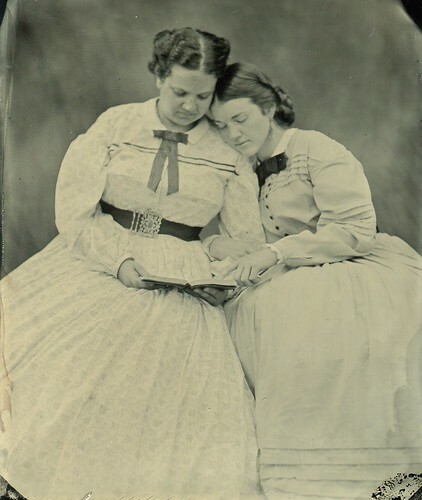 I especially love the one of you and your friend with the book and the portraits of you alone. Wonderful! WOW. These are simply gorgeous. I love the first one and the last one especially. Especially the last one - you look perfect, down to the little cuff details and the way your hair is done. Beautiful, beautiful work, all of you. How beautiful! Love it all! Anna, you look amazingly perfect. Beauteous! Your ability to appear as though you've just stepped out of the 19th century never ceases to delight me. I wish I had all your dresses, too (as I've said far too many times before). You & your friend look 100% authentic! Beautiful!! These are unbelievable...just amazing. I know have a new goal to be photographed by this man!!! These photos are amazing! I seriously thought these were from the 1800s only to find that I was wrong. Beautiful! yes so inspiring Anna! I have been loving reading over your blog! I too love living history and I appreciate and love reading your articles on here and in the citizens companion! great photos! you both are beautiful!